DUNGENESS HAS A bleakness all its own – intriguing to some, repellent to others. The power station and lighthouse dominates the scene, but there is another, more reliable source of energy here – the relentless surge of waves rumbling over steep shingle. Ever since the 1960s, anglers have made their pilgrimage to this famous Kent shore mark in the hope of catching a double-figure cod. But January onwards, traditionally a quiet time in the fishing calendar, can offer a species less majestic yet in its own way just as challenging – the humble dab. 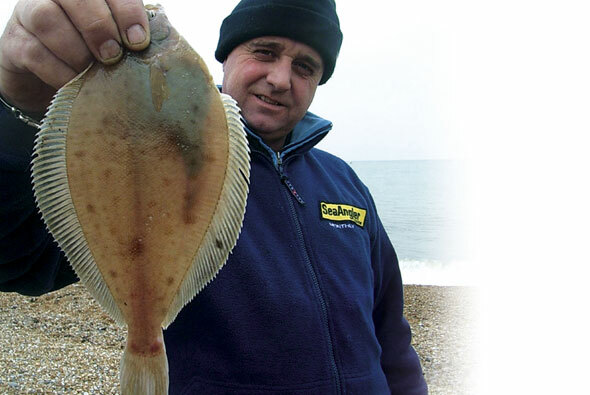 Dungeness can be brilliant for this tasty little flatfish when conditions are right. A light northwesterly following a southwesterly blow on a cold, frosty morning, when the sky is clear and bright, is without doubt a great time to go hunting them. HOW many times, following a not too successful fishing trip, do we return home with nearly all our bait intact? We don’t know what to do with it and either give it away or bin it. But dabs love old bait…the older the better. Save the worms, either frozen or stuck to the paper and enjoy catching dabs two or three at a time on the often whiffy bait. Past its sell by date bait can be tricky to keep on the hook, so tie it on with elasticated cotton. A two or three-hook paternoster boom rig works well with short snoods around 10 inches long. Having traces ready to go saves time and effort. You needn’t worry about worms drying out. DABS have relatively good eyesight and sequins on the trace really do seem to attract them, especially the green ones. A sequin can also be used as a bait stop if you are using bait clips. Tie a small knot loosely around the sequin approximately two inches up the snood from the hook. If flappers are your bag, just slide on a sequin before the hook is secured. A moving bait is something dabs cannot resist and using a Breakaway lead with two wires loose allows it to dig in lightly and then be slowly pulled round in the tide. 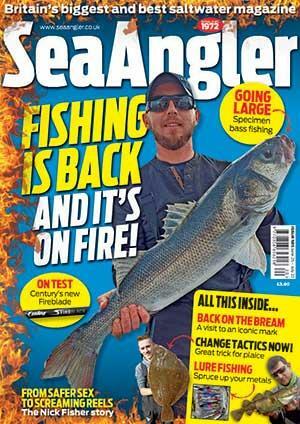 By January the dabs will be almost ready to spawn, and they gorge on sprats. 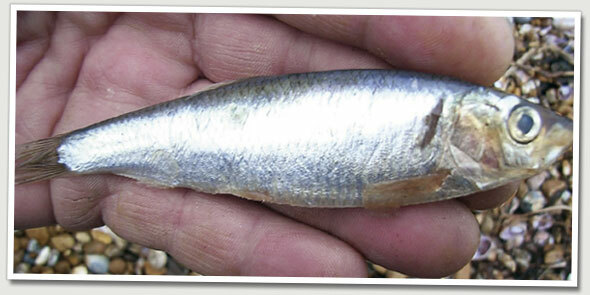 It goes without saying that tipping your bait with a sliver of sprat, herring or even squid will attract the larger fish. Long casting is not necessary, nor should it be. Catching dabs is all about choosing when to fish, the right rigs and proper bait presentation. But these flatties are just as plentiful at range as they are close in. When the cod have gone and the winter blues set in, dabs can lift the spirits and they certainly keep you fit as you find yourself running up and down the beach every 10 minutes to collect another full string of fish. Bites are very positive for such a small fish, but leave it a while and you may hook two or even three fish a cast. It is lazy fishing but at least rods tops aren’t sitting static on the rod-rest. And for some reason the cheeky little plump dabs always raise a smile on a cold day.